The MBTA is a lifeline for our communities. It’s essential to the hundreds of thousands of people in Boston, Newton, and every city and town in Eastern Massachusetts who ride the T. Our neighborhoods, families, workers, schools, and businesses large and small depend on it to run reliably and affordably. But it’s not just riders that need the T to work well. If you drive: our roads are already congested and in disrepair, and don’t need more traffic. If you breathe or enjoy the shore: transportation is the largest source of climate changing emissions, and getting more people on public transit is part of the solution. If you care about social justice: many neighborhoods are underserved, and there are no plans on the table to grow capacity to meet demand. For a new transit station to live up to its potential, the university needs to be flexible. And if you care about health: public transit is linked to better public health, and prevention is much cheaper than treatment of disease. Therefore, as a matter of public policy, we should seek to increase transit ridership at every opportunity. That’s why the T’s proposal to increase fares — which, by their own numbers, would decrease ridership — is worse than a breakdown. It’s putting the system in reverse gear. Raising fares — certainly by the amounts on the table for a vote by the MBTA Board — amounts to a message from the governor that people are just numbers on a spreadsheet, that all we need is better management, and that it is acceptable to hike fares even at the expense of ridership, of public trust, of the economy, health and the climate. What we really need to turn the T around is not just management, but leadership, built on an inspiring vision of what transportation means to our future. Transportation connects communities to jobs and opportunity. Public transit is necessary to knit together neighborhoods across a city, to build cities and towns into a regional economy. Affordable, reliable public transit helps families access affordable housing, local community development, arts and culture, and innovation throughout Greater Boston. Public transportation is about including everyone in our region’s incredible opportunities. But today’s MBTA doesn’t just provide over a million rides every day. It also carries decades of neglect and underinvestment, which we can see from subway cars literally falling apart on the tracks, and failing signals, tracks, and fleet; from inaccessible stations and bus stops; and from antiquated business practices. We certainly understand the importance of competent government. 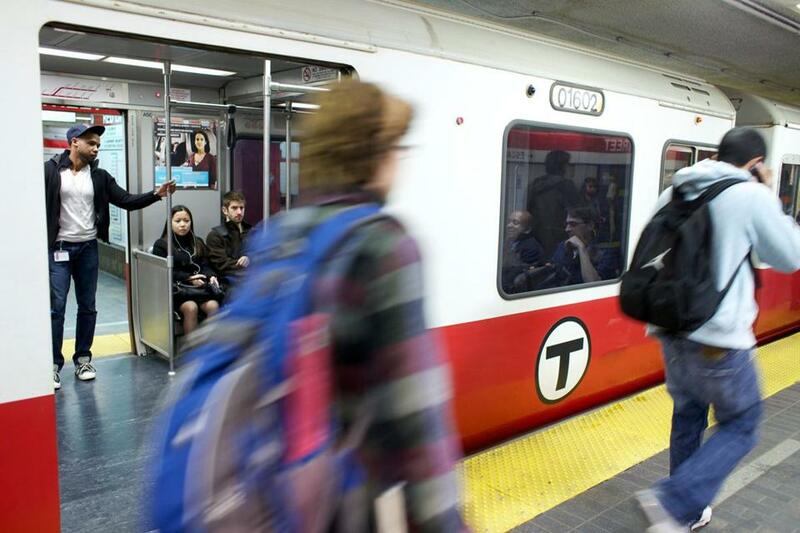 It is a good step that Governor Baker proposed, and the legislature approved, a new MBTA Board of Directors with more authority and visibility than ever before. And many of the changes and reforms that are proposed are essential if the T is to turn the corner and become not a barrier for our communities and economy, but a source of pride. The MBTA and our entire transportation network across the Commonwealth suffer from a failure to invest. Let’s look at options for increasing revenue that don’t reduce ridership and don’t place the burden on the middle class and poor, the very people who rely most on our public transportation system. When we have hundreds of decrepit bridges, when local roads are decaying, when regional bus service underserves communities all across the state, and when there is an unfunded $8 billion repair backlog for the MBTA, it’s time to invest. We need to invest in ourselves. 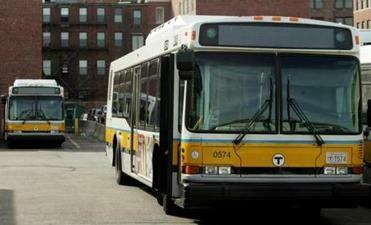 Every dollar spent on transportation in Massachusetts, benefits Massachusetts. A lot is at stake here. To support a world-class economy, to create opportunity for all, to truly reduce carbon emissions, to see vital and thriving neighborhoods, and to attract and retain a mobile and transit-oriented workforce, we desperately need high-functioning transportation in the Boston area and across the state, with public transit at the core. So we ask the MBTA Board to step back and look at the big picture. We implore the governor and legislative leaders to think big rather than nickel-and dime riders, and to put in play a far-sighted solution that packages reforms and urgently needed revenue to move us all forward. If big fare increases are the solution, then the MBTA and Governor Baker are not solving the real problem, which is the need for leadership on transportation for our Commonwealth. Michelle Wu is president of the Boston City Council. Setti Warren is mayor of Newton.